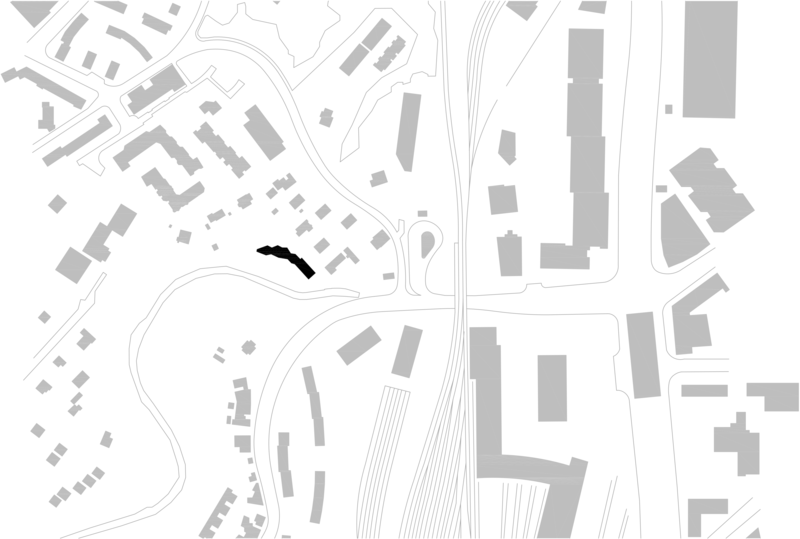 The Lola residential building stands at the foot of Tours de Lancy, in a corner of protected nature, along the last meanders of the river Aire, built into the hill slope. At the heart of a zone of villas, the project uses building rights to a maximum and reuses the volume of a former warehouse integrating it into the composition. The principle of clustering apartments two by two, grouped around a staircase, is limited to three stories. 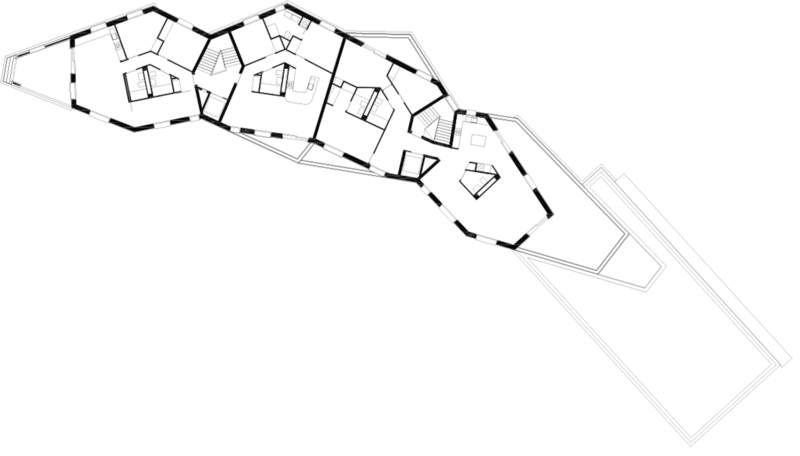 This design allowed gentle insertion – avoiding a linear layout – into a sensitive plot where chemin des Vignes creates a bend to the north east Four of the fourteen dwellings, in the form of duplexes, have taken over the warehouse, using its construction frame, whilst the others take the form of apartments with terraces created by the staggered stacking of each unit. The interiors are all different, based on a principle of a service core in the day part. 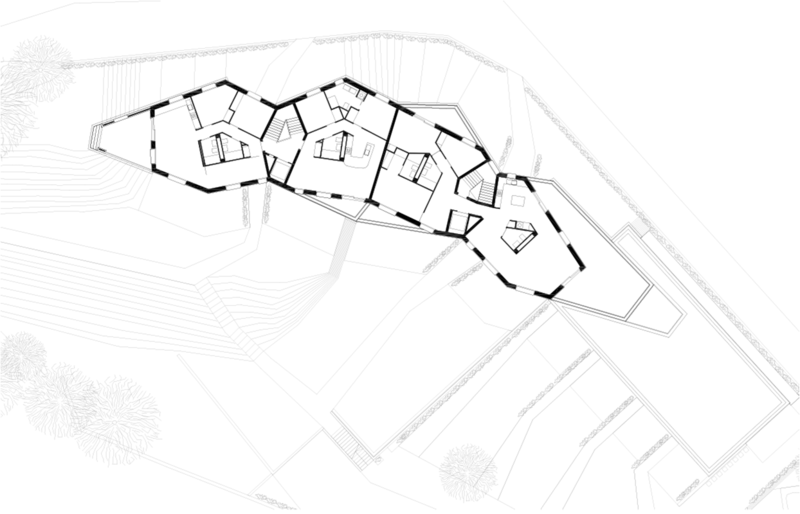 Staggered volume are found in the dwellings in the form of spatial tensions and landscape framings. The structure is in concrete with a vertical wood covering whose caesuras at each floor are marked by a fine metal strip that underlines the random breaks in the building’s lines. Three types of windows are used in the units. The units extend outside at ground level on three terraces adapted to the terrain.